Top free things to do in Cobb? Nothing’s sweeter than experiencing the authentic character of Cobb County, without spending a dime. Here are just a few free ideas of what you can do in your free time. For a full list of activities, please see our Cobb Activities Listing! Explore Kennesaw Mountain National Battlefield Park. The site of one of the most important battles during the Civil War, or the War Between the States, Kennesaw Mountain National Battlefield Park is a must-see with 17 miles of trails to explore along the battlefield. Named the most-visited Civil War battlefield in the country, this getaway is a perfect way to learn about our history and spend time outdoors. 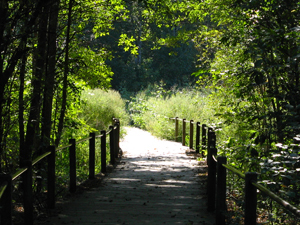 Stroll along the Silver Comet Trail. Test your endurance by biking, running, or in-line skating the 60-mile trail. This trail runs through the southern part of the county, beginning in Smyrna, and follows the abandoned railroad line once traveled by the Silver Comet passenger train. 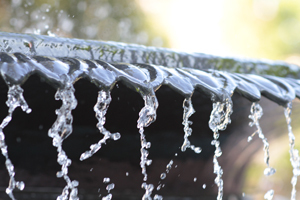 Relax in Historic Marietta Square. Anchored by Glover Park, Marietta Square is a great place to have a picnic lunch or relax and read a good book. Free concerts are held here throughout the summer. The Marietta Square farmer’s market is open Saturday mornings during the months of May-August. Find great deals on fruits, vegetables, jellies, flowers, local honey and much more. Enjoy a Day at the Lake. 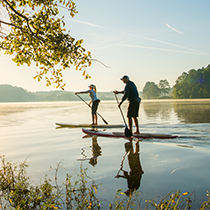 Lake Acworth is a popular site for walking, biking, picnics, live music, canoeing, and much more. Unwind from a busy day of sightseeing on Acworth Beach. 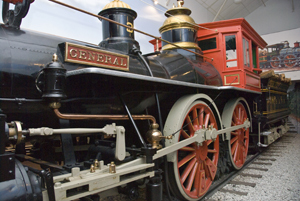 Take a drive through historic Cobb County. Take advantage of the Cobb County Historic driving tour Brochure, which consists of three separate routes that take you through historic Cobb County. 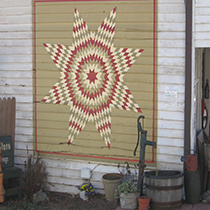 Learn all about the Southern Quilt Trail. This walking tour shows off Folk Art quilt patterns that have been handed down for generations. By displaying this unique art form on historical barns and buildings in our communities we are able to preserve the history of this fading art. 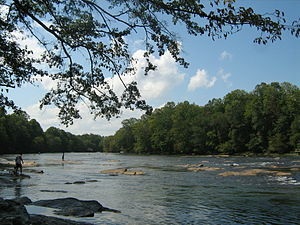 The Chattahoochee River offers outstanding opportunities for outdoor enjoyment. Fish, paddle a raft, canoe or kayak down the river to see wildlife, or just simply relax.